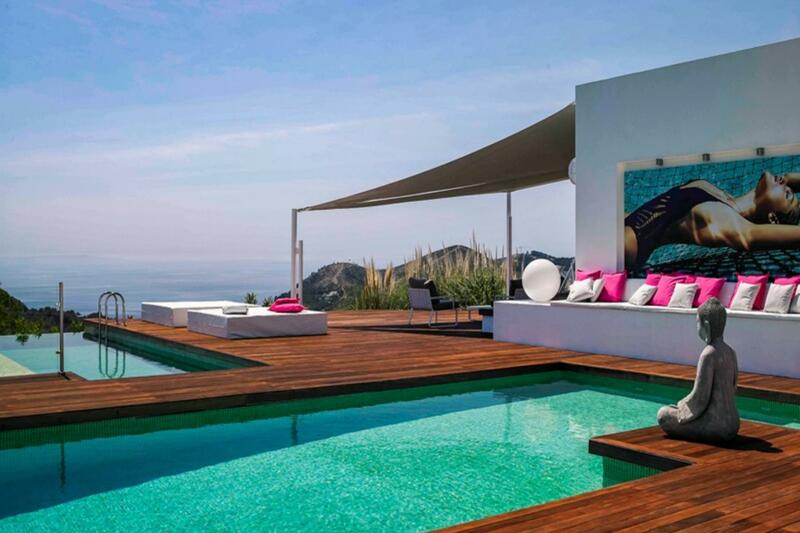 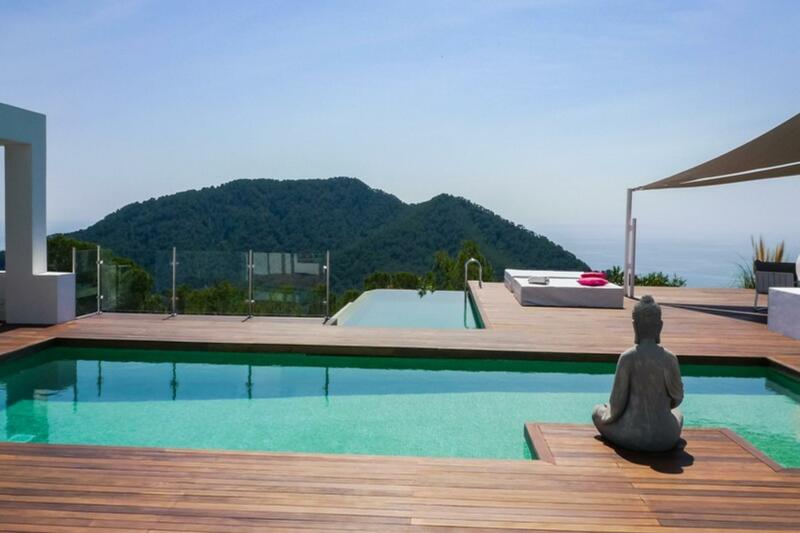 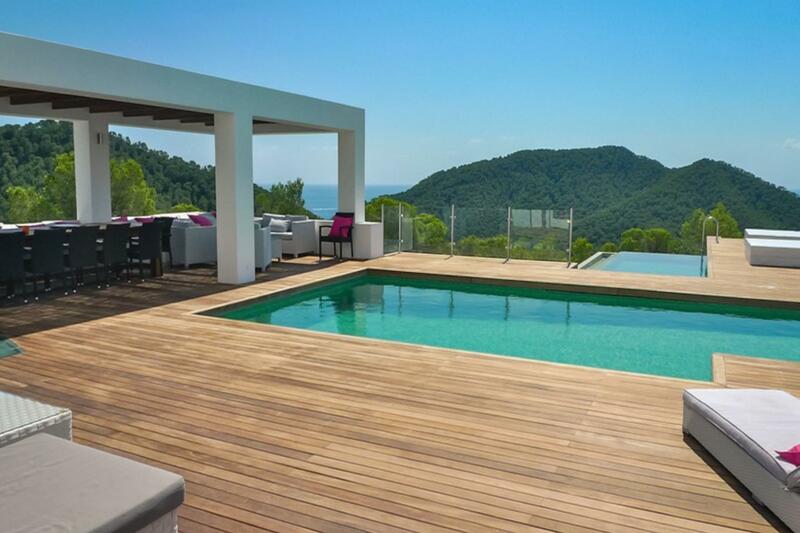 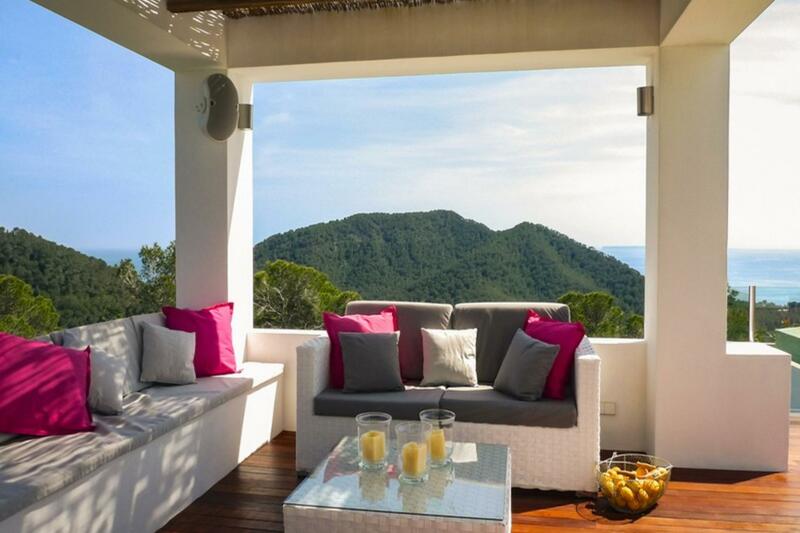 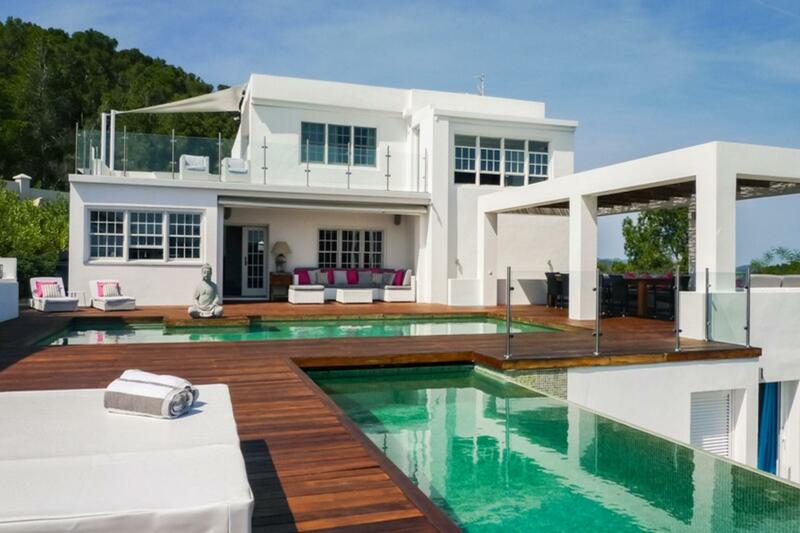 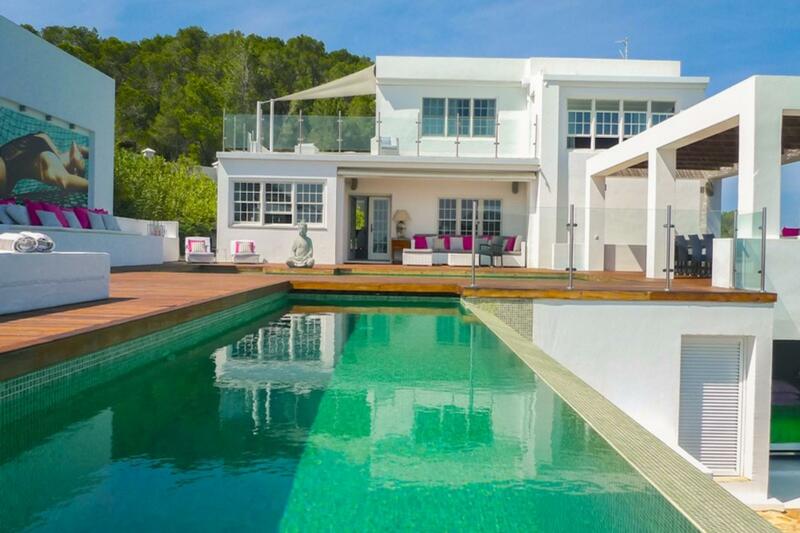 Located on the top of the mountain in Cala Llonga this modern designed villa boasts amazing sea views. 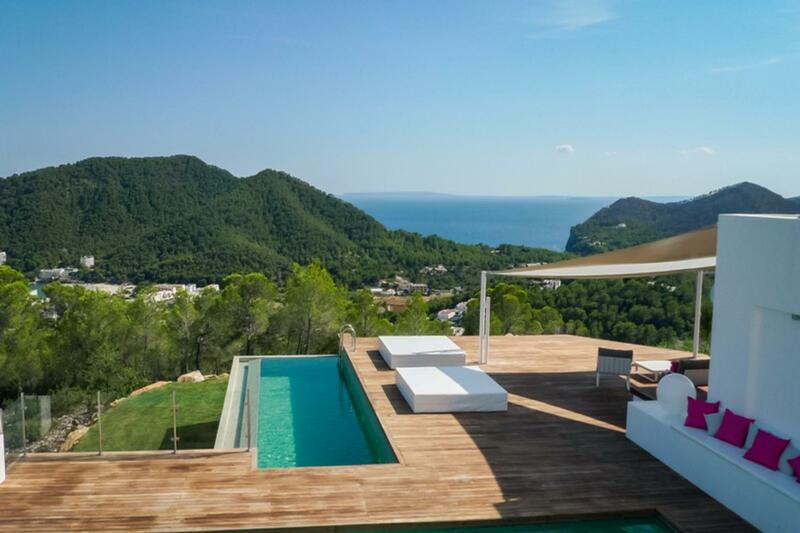 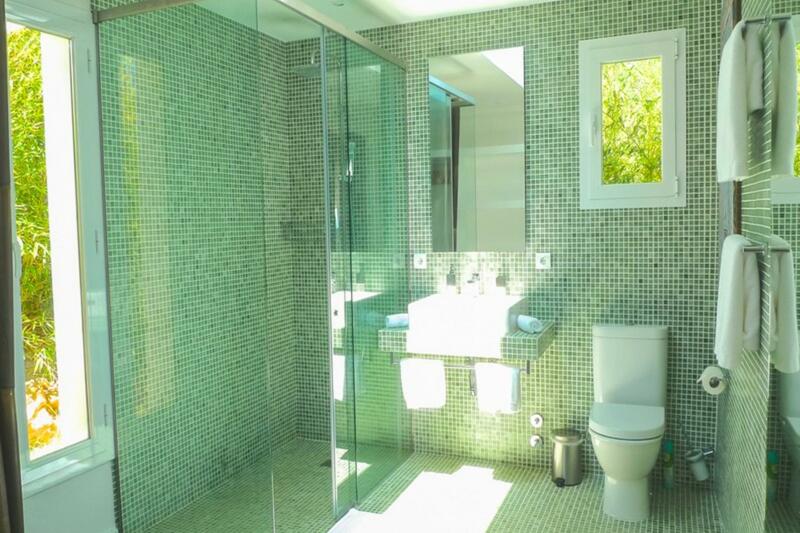 This 7000 m2 plot is totally secluded within a nature reserve which ensures total privacy. 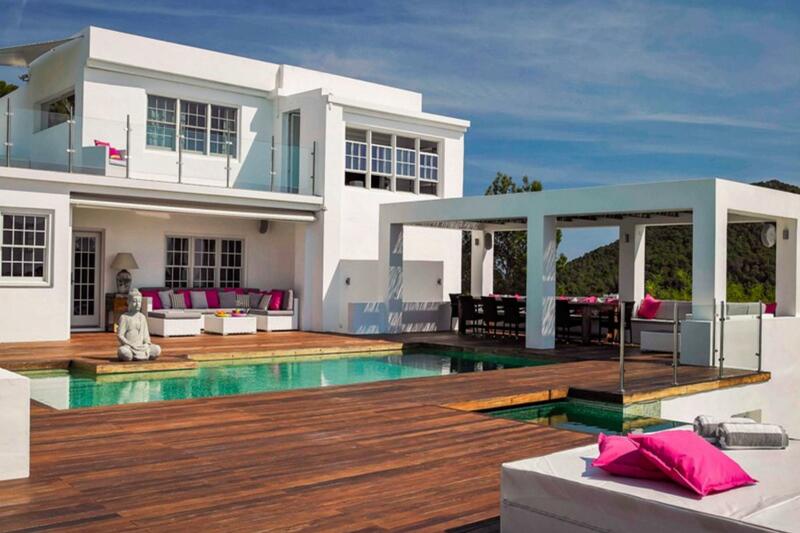 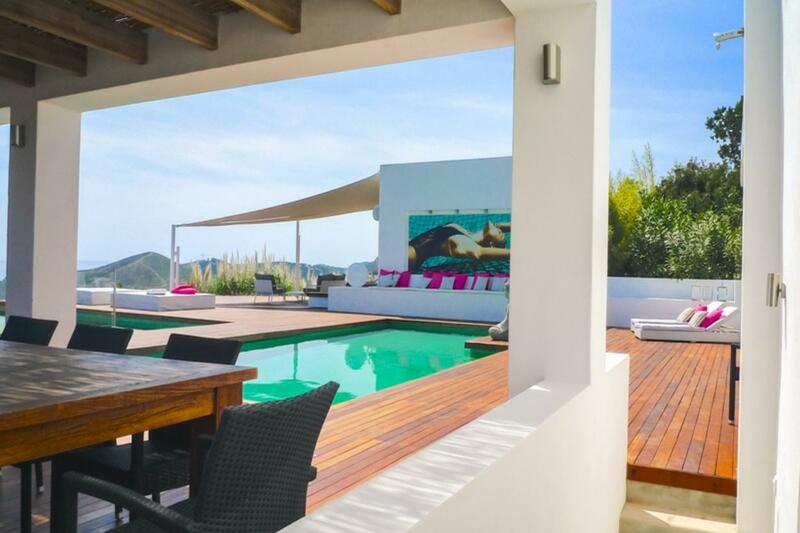 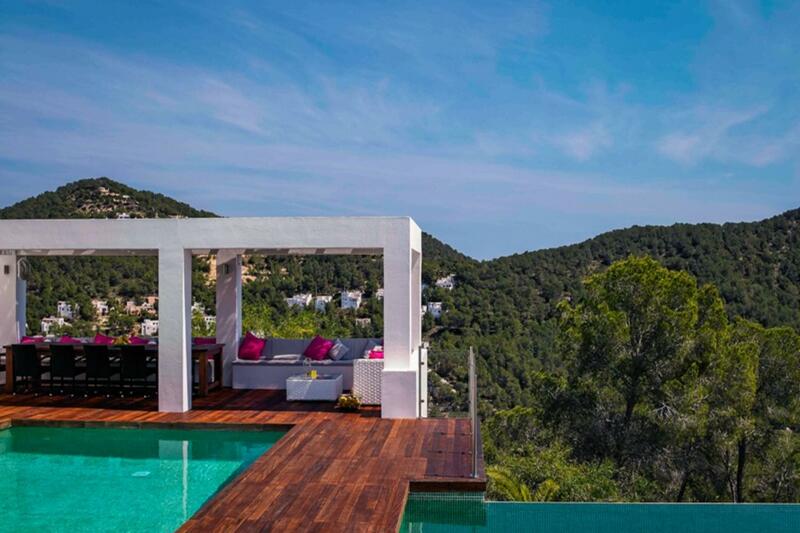 This villa is one of the rare villas in Ibiza where it allows you to enjoy amazing sunrises as well as breathtaking sunsets. 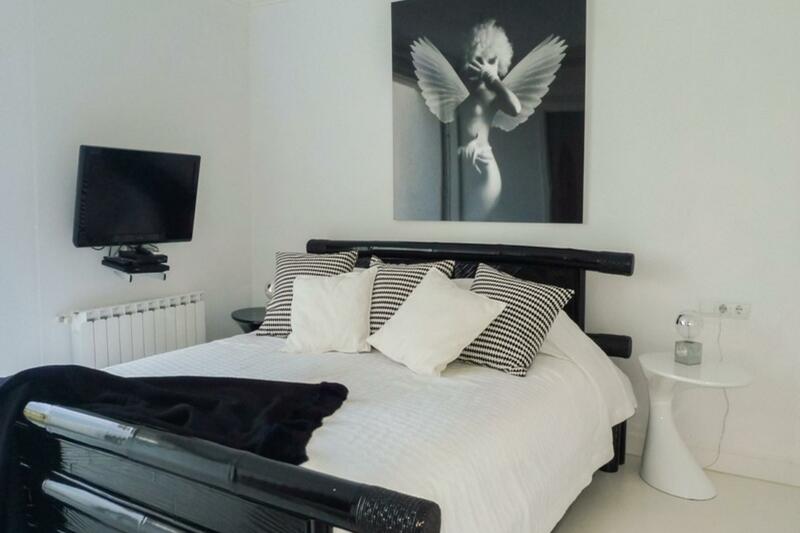 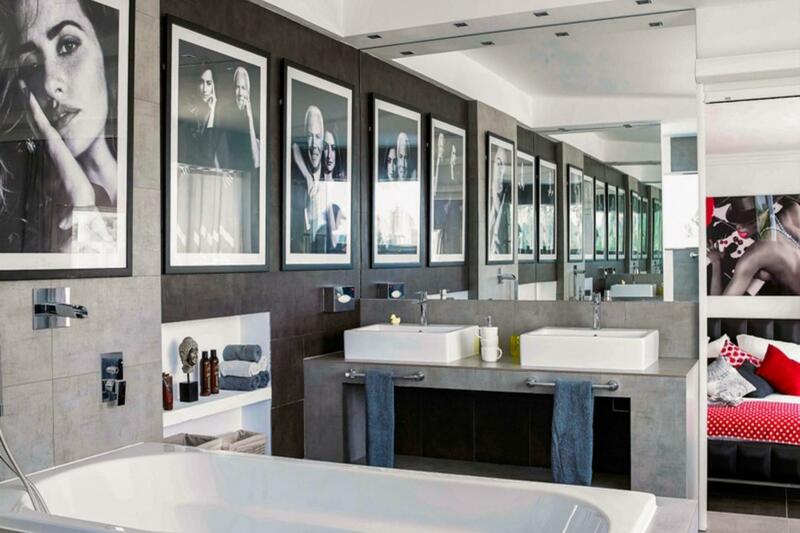 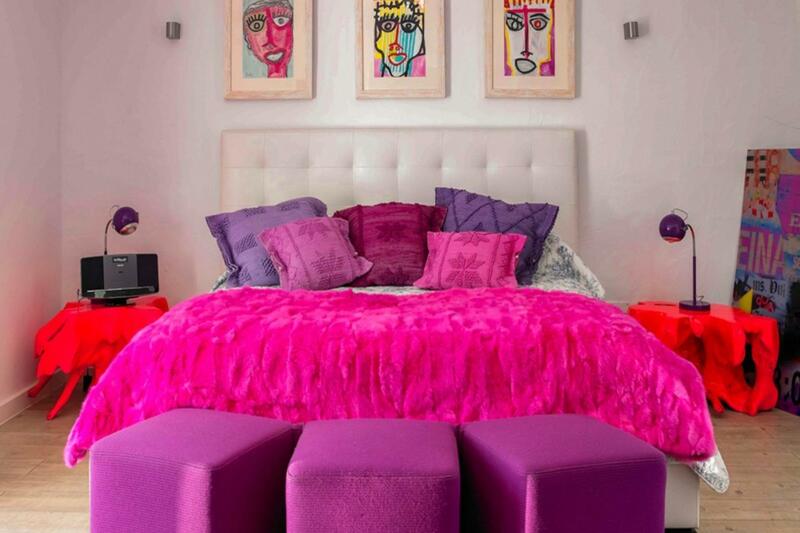 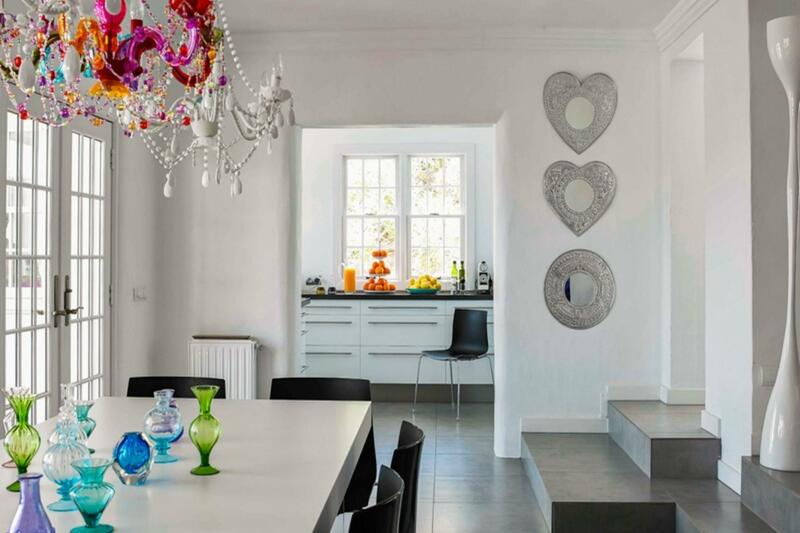 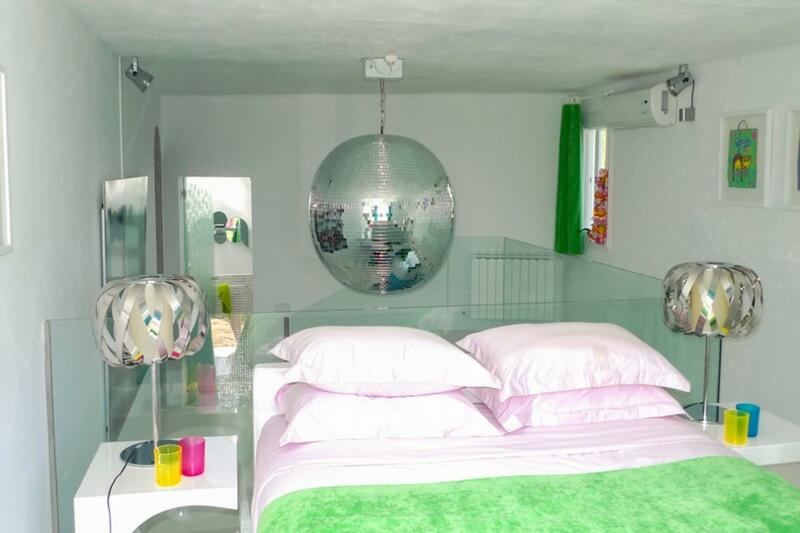 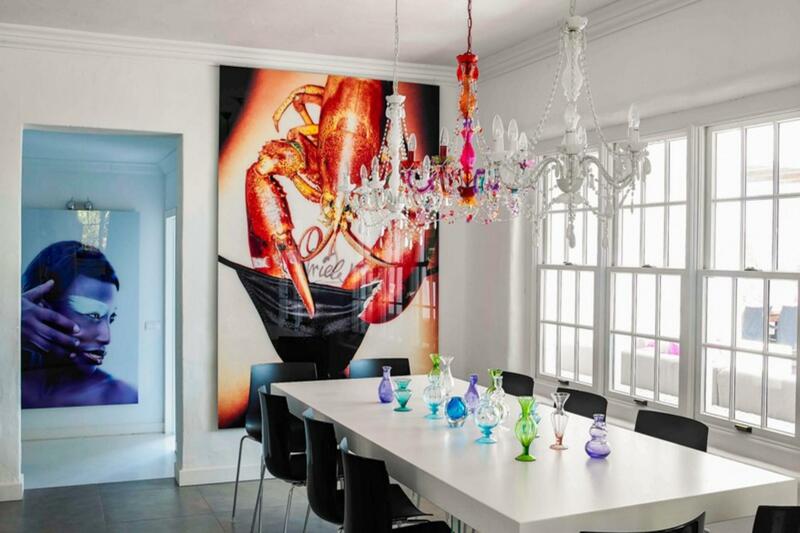 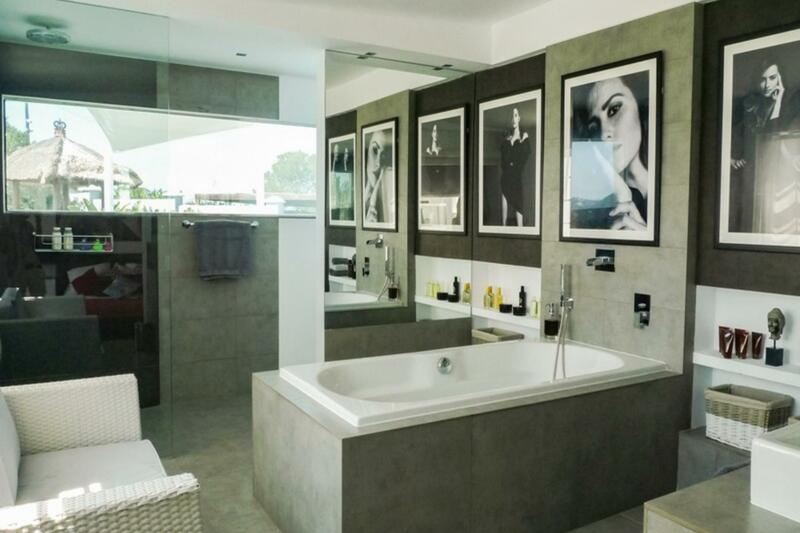 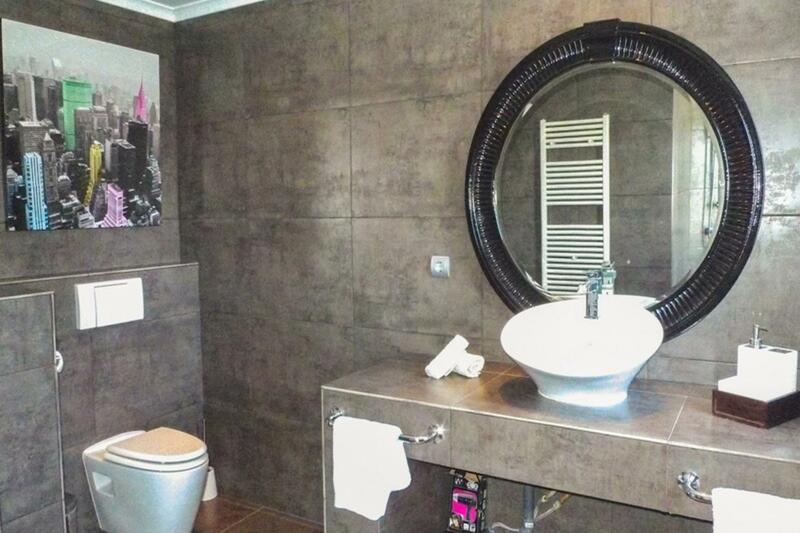 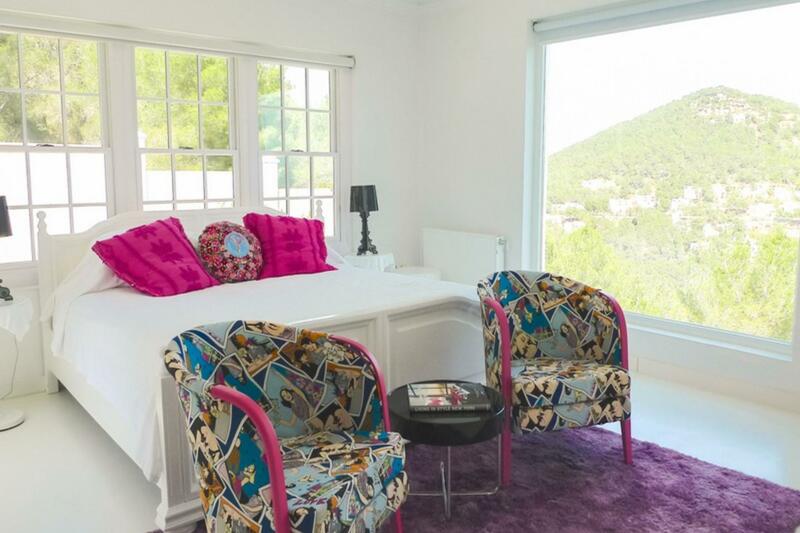 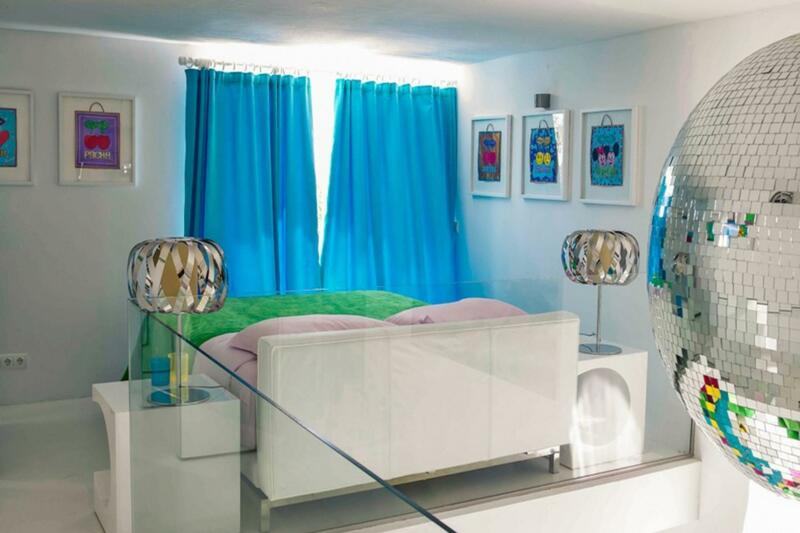 Minimalistic in design but beautifully furnished, containing every comfort you will need in Ibiza. 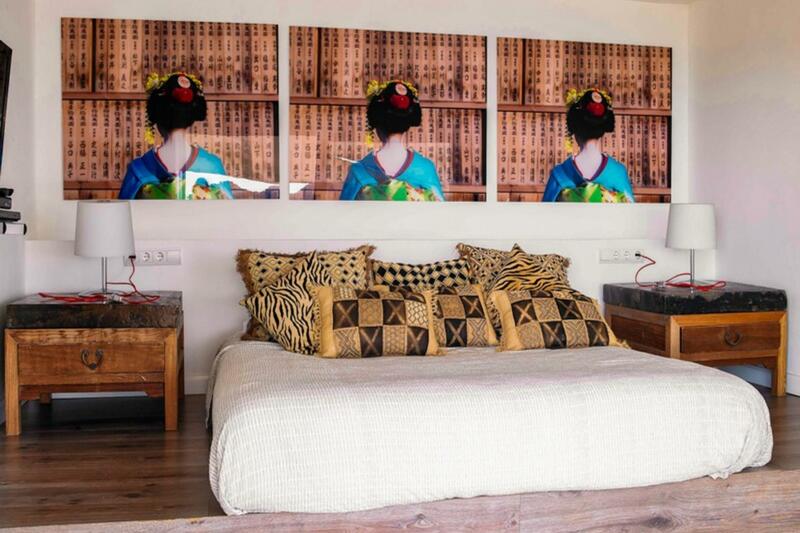 The lounge area is fabulously furnished with luxurious sofas, brightly coloured rugs, cushions and art work. 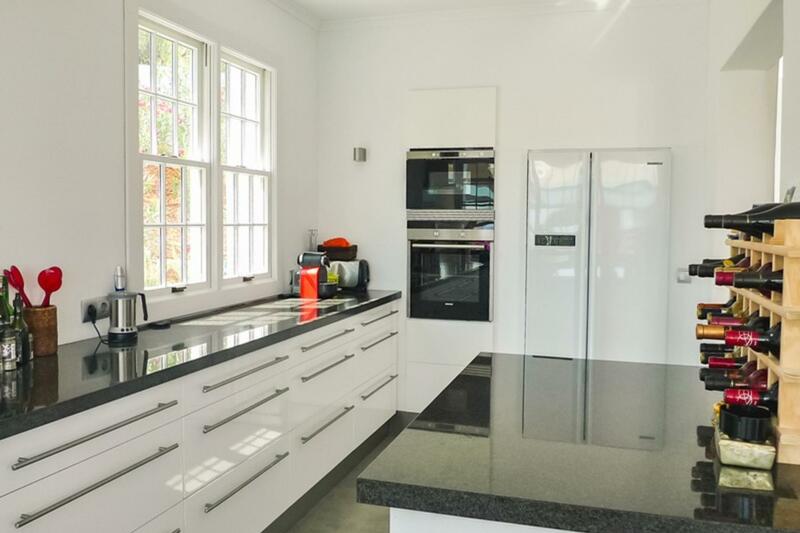 There is a spacious dining area and a sleek fully equipped modern kitchen. 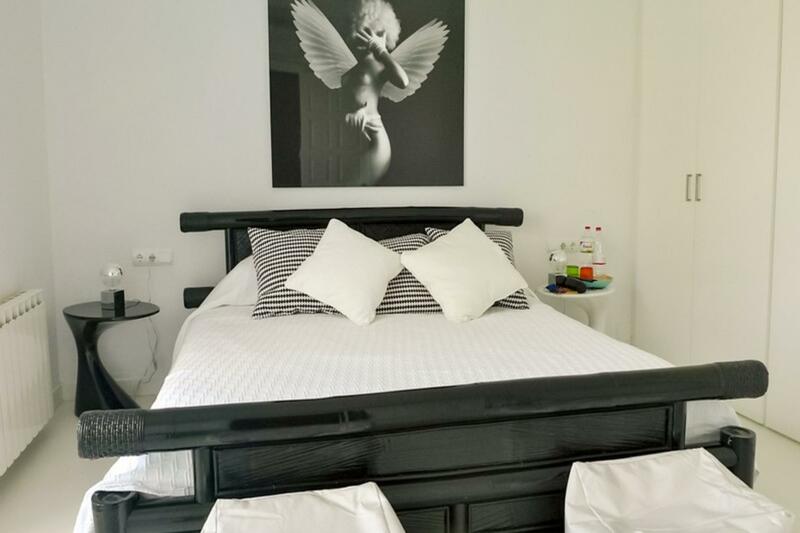 There are three bedrooms in the main house and three in out buildings with separate entrances and alarm systems. 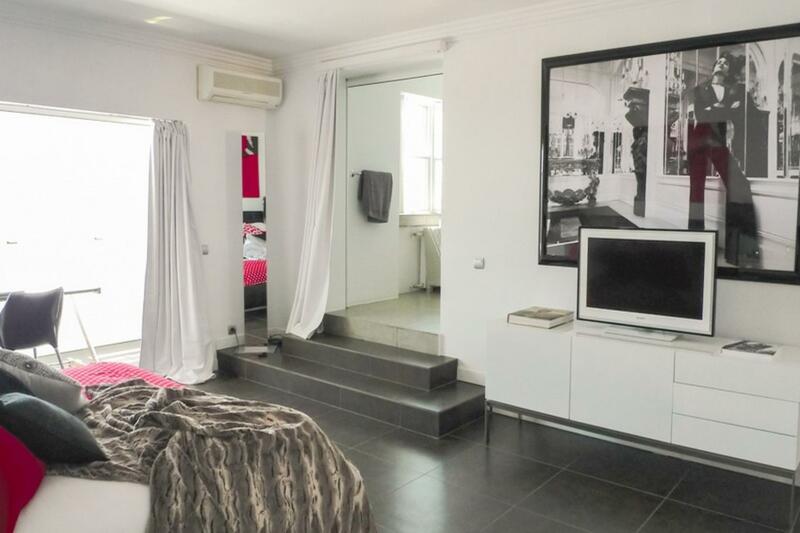 All Bedrooms are fully air conditioned and have satellite TV. 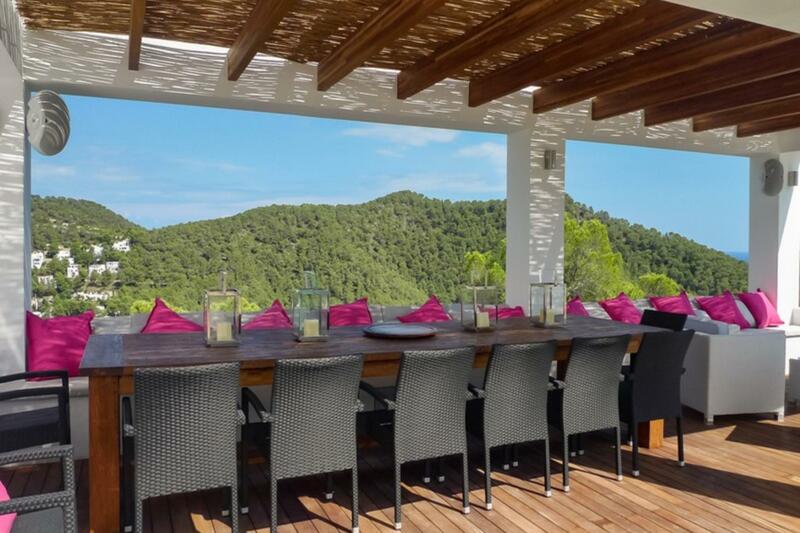 With amazing views down to Amante Beach Club, Formentera and Cala Llonga, the Cala Llonga Palace offers tranquility and style throughout.